After visiting London 4 times now, I thought it’s time to be a little bolder and explore what other treasures England has to offer (within close vicinity to London). So last month when my mom and I were in London, I fortunately happened to have a free weekend, which is such a rarity as I’m always in London with a whirlwind agenda. So we packed our weekend bags and took the train to Bath. All I knew of Bath then were two things: Jane Austen and the Roman Baths. And I left Bath very charmed and impressed- who knew this little city could hold such great surprise and so many things to do?? Where is Bath? How do I get there? Bath is located slightly south and west of London. Taking the train is the easiest and most convenient way to reach Bath. Just a 90 minute train ride from Paddington Station. We booked our tickets online at TheTrainline.com . Booking process was quite straightforward and simple. While we were able to secure our tickets on the last minute, I would advise booking at least a week in advance as the train can get packed. Bath is a popular getaway for Londoners for the weekend, and on the Sunday we returned from Bath to London, the train was heavily packed (with standing passengers). 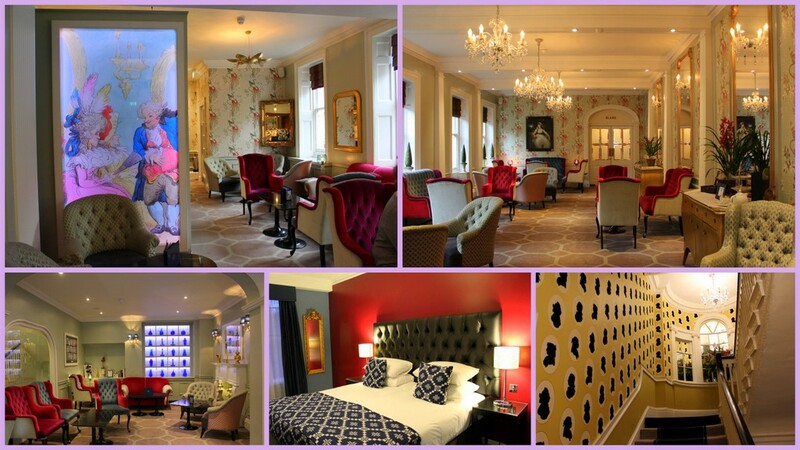 I was pleased to discover that there are quite a number of luxury and boutique accommodations in Bath. Our hotel was prime location, and every bit historical and enchanting. We stayed at the Francis Hotel Bath- M Gallery Collection. Part of the Accor group, Francis Hotel Bath is comprised of 7 townhouses that were joined into a single residence in the late 19th century. The location was perfect. The hotel is in Queen Square near the Circus, Royal Crescent and Roman Baths. 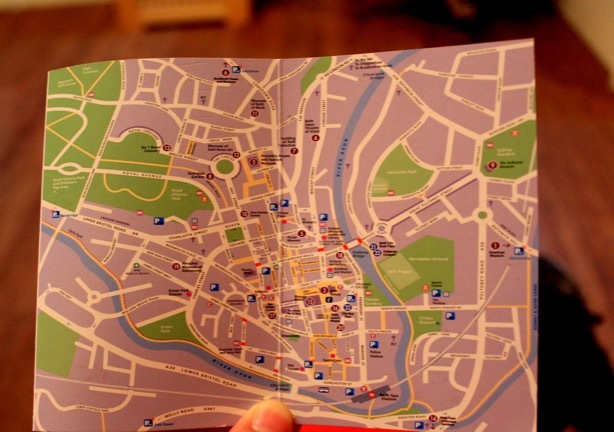 When in Bath, you would want to be in a central location because it’s a city that’s made for walking. And as for the interiors – well, I was charmed the moment I entered the hotel. Think of a Victorian-Romantic-Alice-in-Wonderland inspired setting. The hotel is also home to Brasserie Blanc restaurant, a popular choice for both in-house guests and walk-ins. But it is also a short walking distance to shopping and many other restaurants. 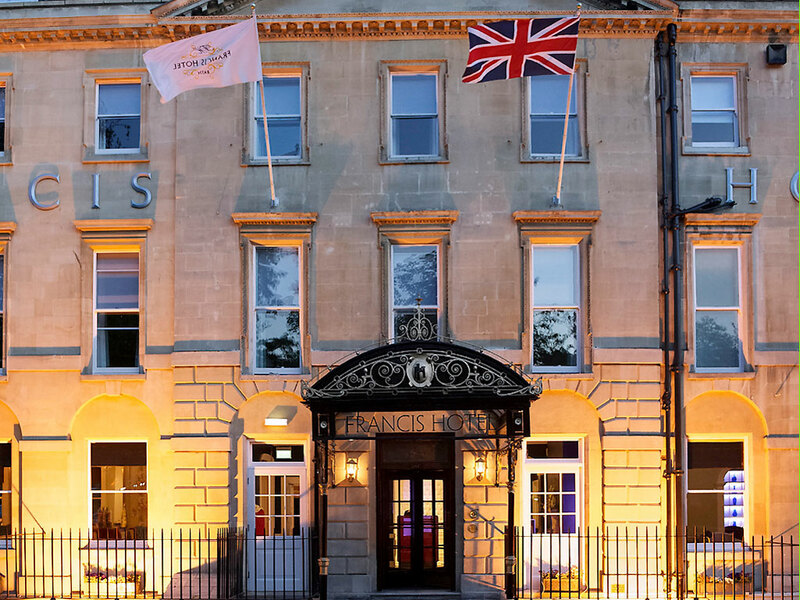 Staying at the Francis Hotel definitely set the mood for our weekend in Bath. Now here are a list of 10 things to do in Bath for the weekend. 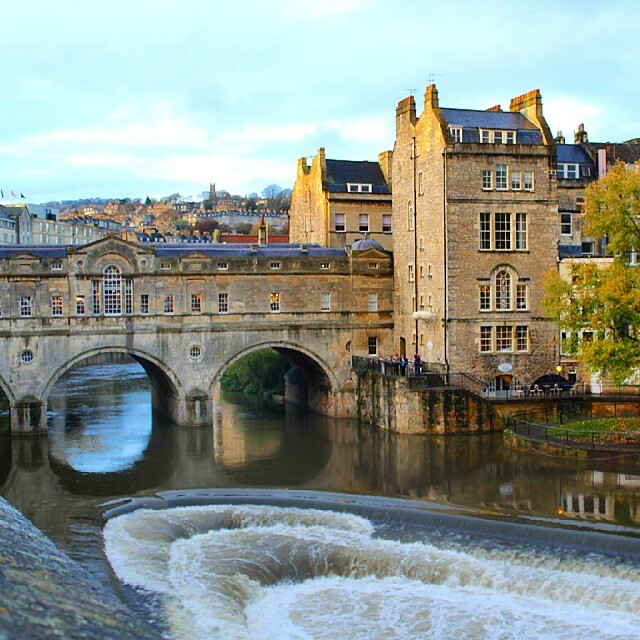 Bath is quite a compact city, not too sprawling but it’s filled with lots of activities to do. With a bit of planning, here’s what we were able to do during the weekend. Reaching Bath, the first thing we did was grab a quick lunch and had a walking tour. We joined a 2-hour walking tour with Sulis Guides, a company that has been guiding visitors for over 30 years. 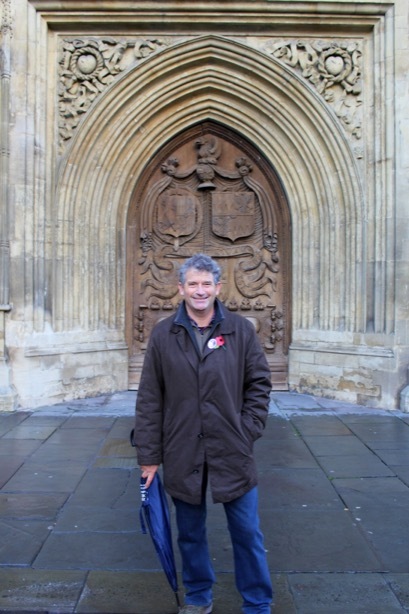 Tony is an expert on Bath and UK History so it was a delight to be led by him around Bath. I always ask myself this question to measure a tour guide experience: “Does it feel like being in the Galapagos with Sir David Attenborough?” Tony Abbott , with his passion for history and love for Bath is just the person to be with in this city. It was great to have him show us the highlights of Bath for 2 hours so we could get a general bearing of the city, leaving us to explore Bath the next day for ourselves. Marvel at the extent of which the Romans reached their empire. This is the main attraction in Bath, and at certain times in the afternoon, there are actors dressed as Roman soldiers. There is also a very informative museum that shows how preservation was done, and certain relics that were unearthed. 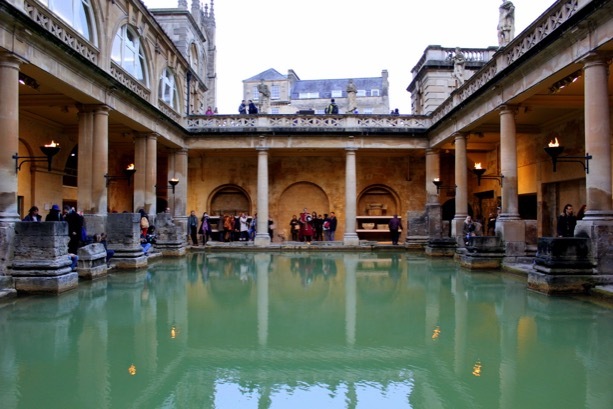 The pass to the Roman Baths include visiting both the museum and the baths itself. 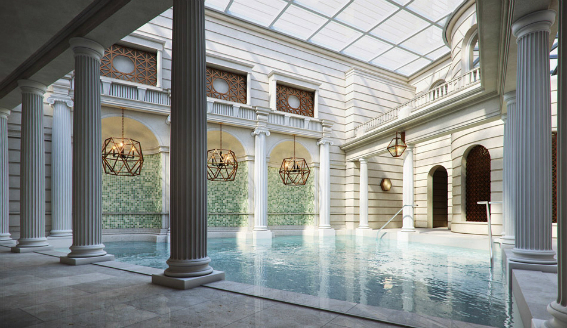 While you can’t dip into the original Roman Baths anymore (it’s nice yes, but it’s all shades of algae and bacterial green), you can still get a luxurious dip at the Thermae Bath Spa. Rates start at GBP 27.00 per person for a 2 hour session at the open rooftop pool. 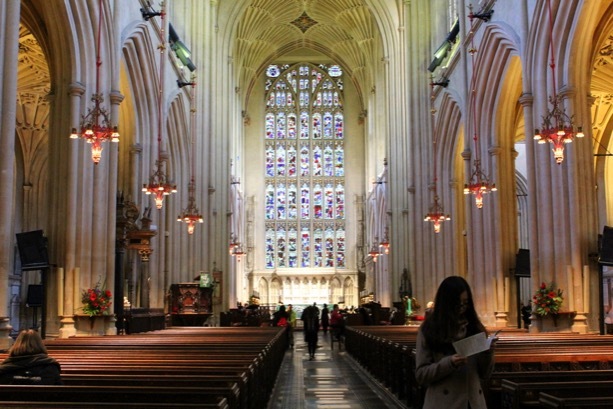 Bath Abbey: Not your ordinary Abbey! At first glance, yes it’s a great Abbey with perfect lighting. But wait, this Abbey is not like any others you may have seen before. 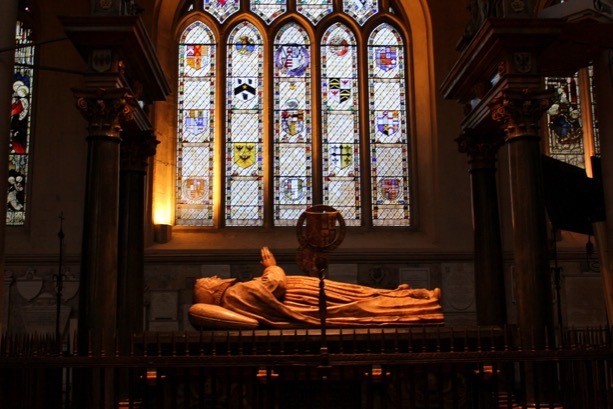 The Bath Abbey is the last Gothic church of England, and is filled with catacombs underneath. 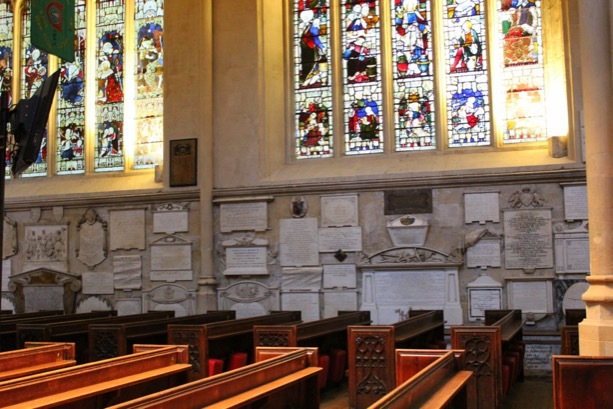 Within the Abbey itself are graves and tombstones of many Bath residents. 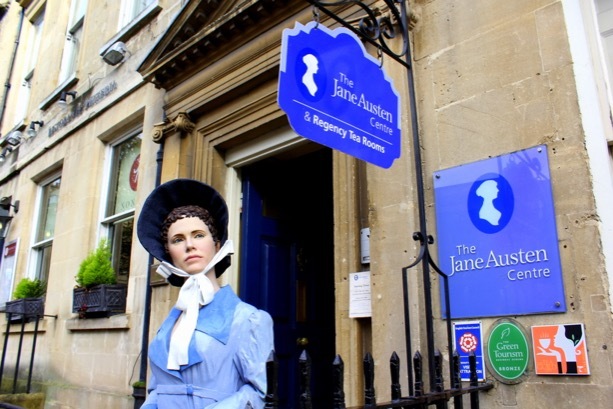 Jane Austen is Bath’s most famous resident. She set two of her six published novels, Northanger Abbey and Persuasion, in Bath and made the city her home from 1801 to 1806. The centre shows what life was like for Jane Austen in Bath, complete with staff dressed in costume. 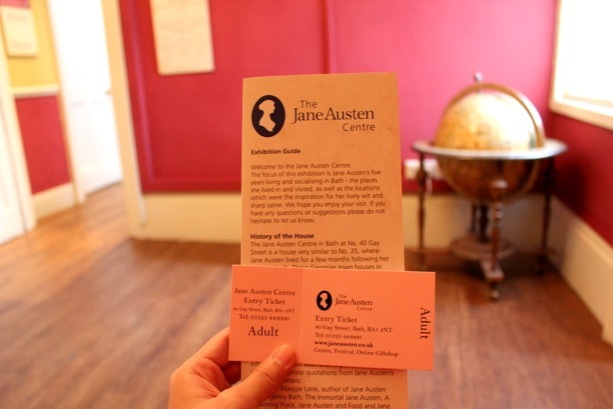 Apart from exhibits, there are also shows and presentations that showcase the life and works of Jane Austen, and how Bath had inspired her to write two of her famous novels. 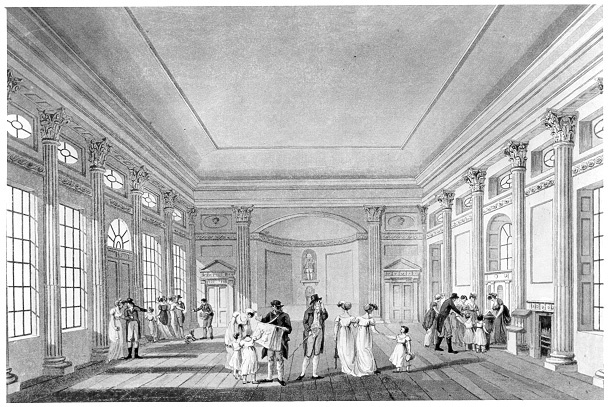 Built in 1795 The Pump Room was at the very heart of Georgian high society and a very fashionable place to be seen. 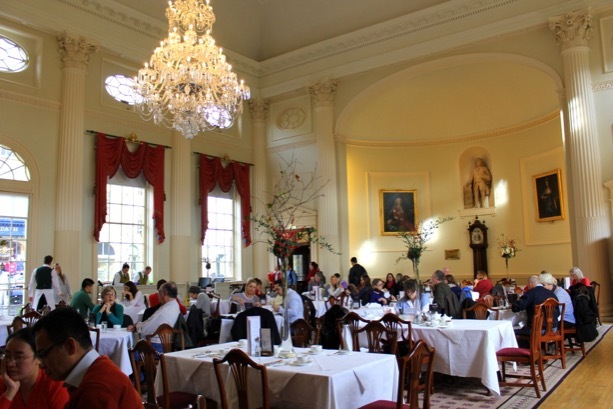 The Pump Room was apparently very present in Jane Austen’s novel Northanger Abbey. This is what the Pump Room looks like now. It’s a restaurant popular for visitors after touring the adjacent Roman Baths. We also had a drink of the famous mineral waters from the Fish Fountain of the Pump Room. 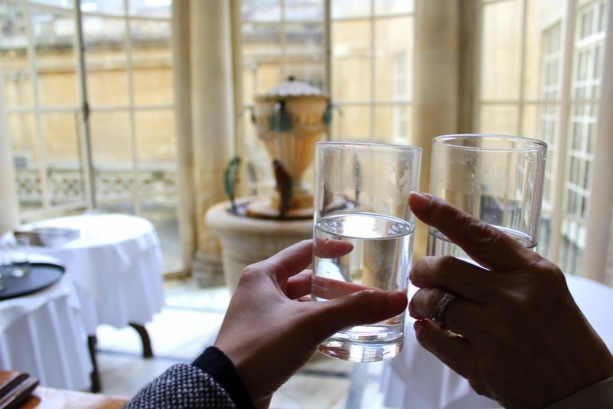 These waters are filtered from the waters underneath the pump room and baths – it is distilled and filtered so it’s clean from all bacteria! It was warm and had a salty taste which of course is from the natural minerals. Formerly known as the Museum of Costume, the Fashion Museum is visited by tourists, students, locals and fashionistas. 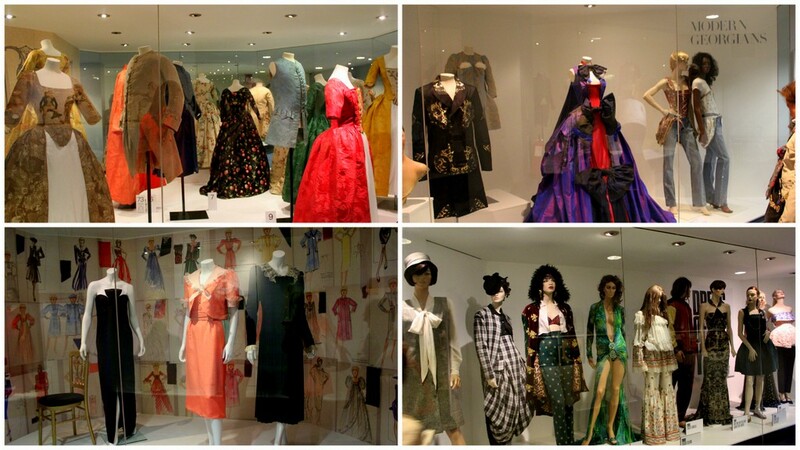 It showcases the timeline and history of fashion primarily in the UK (but also other international design wear). But apart from the dresses, the Assembly Rooms inside the museum are also worth visiting. 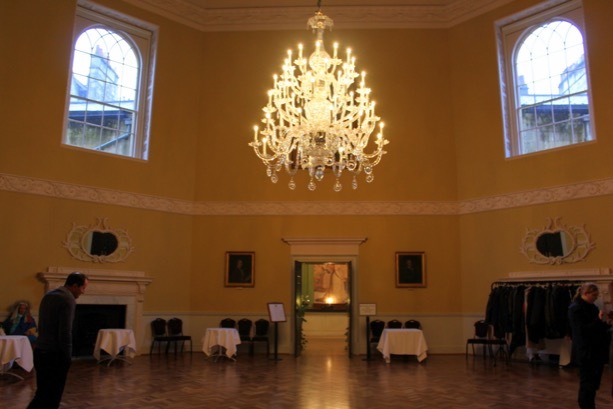 The Assembly Rooms were purposely built as a venue for entertainment during the 18th Century. Large number of guests met together to dance, drink tea, play cards and listen to music. Now, the rooms are available for hire for events. 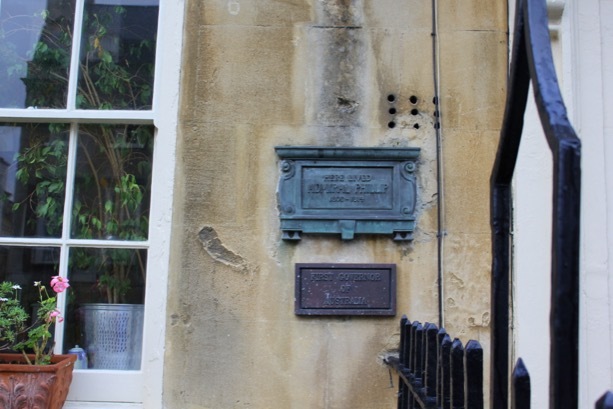 Sally Lunn’s house is the oldest house in Bath. (1482) But it is also famous for the very original Bath Bun. 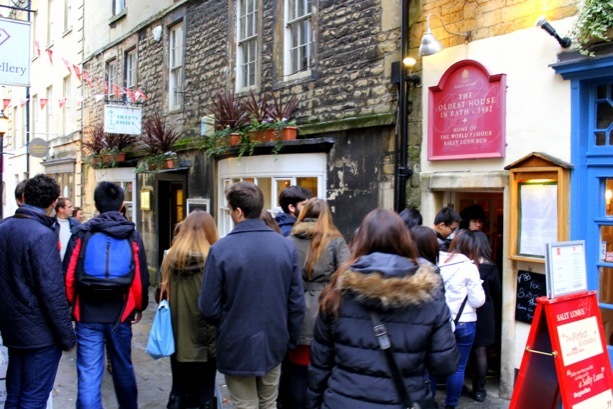 And true enough, Sally Lunn’s proved to be very popular in Bath as there was a long line of diners. 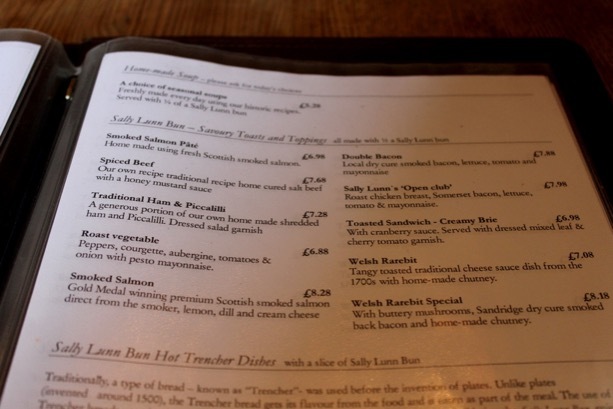 There are 2 variations of buns that you can have in Sally Lunn’s – savoury or sweet. Under each kind are 8-10 specific bun menu. This was lunch time so we ordered the savoury ones.The Open Club and Double Bacon. Though they were just half buns, it was really filling , as you can see how generous they are with the toppings served. 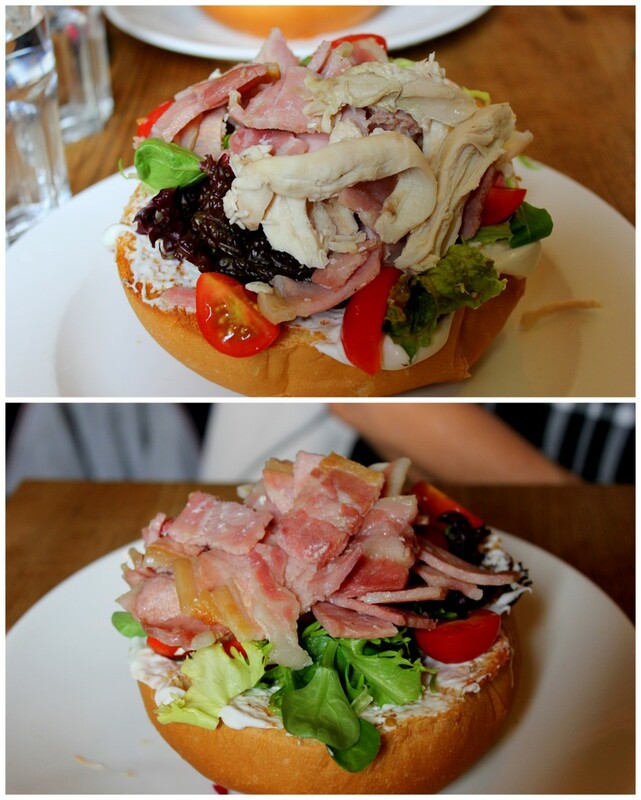 The buns were warm and fluffy, not the heavy kind so it was perfect to pair with the bacon and chicken. If I go to Bath again, I would like to try their sweet buns too which I think would be perfect for morning or afternoon tea. This is for Aussies and anyone appreciating abit of Australian history! 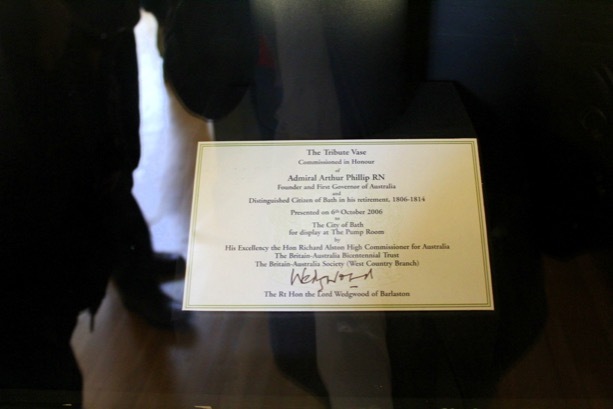 Going back to the Pump Room, there’s a Tribute Vase for Admiral Arthur Phillip recognising his achievement as Founder and First Governor of Australia. Who knew that Bath would be a shopper’s paradise? I didn’t! I’m not much of a shopaholic but I was pleasantly surprised to see that Bath really had amazing shopping. For a small city, there really is a great selection of brands and stores. 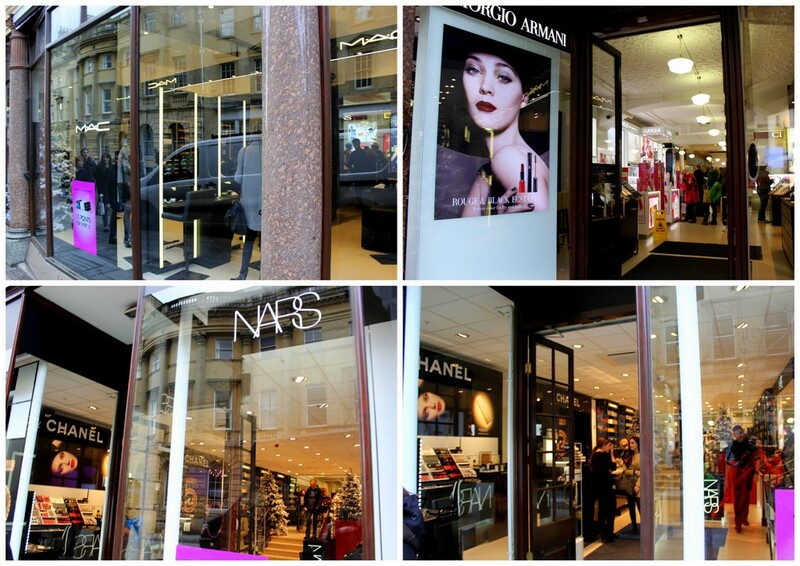 Those who do not want to battle the rush in Oxford Circus in London can have a stress-free shopping experience in bath. I have a bit of fascination with bridges, and The Pulteney Bridge in Bath is one of the most charming ones I’ve seen. The Pulteney Bridge is one of two stone bridges in the world which was built with a building as part of its original structure. The other one is the Ponte Vecchio in Florence, Italy. 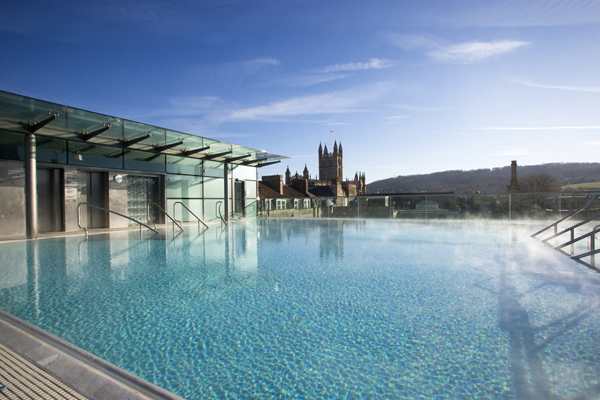 The Gainsborough Bath Spa exclusively offers the only natural thermal spa within a hotel in the United Kingdom. There will be 99 guest rooms in this luxury accommodation decorated by Champalimaud Design, a restaurant, and a lobby lounge for afternoon tea. I’m really looking forward to the Gainsborough opening, as judging from the tourists that visit Bath every year ( 900,000 overnight tourist visits per year to Bath and North East Somerset), there will be a great demand for more varied kinds of accommodation. And I can just imagine a luxurious spa/shopping/getaway weekend package that many visitors (locals and foreign tourists alike) can enjoy. 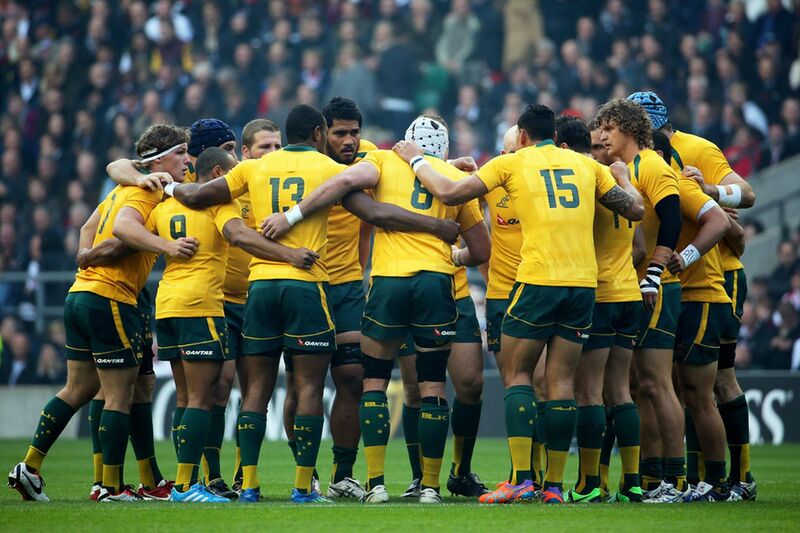 With the Rugby World Cup happening in England from 18 September to 31 October 2015- our very own Australian team – The Wallabies, will be in Bath prior to the World Cup as Bath will host as training grounds to the Wallabies. Have you been to Bath? If not, which activity do you think you’ll enjoy the most? 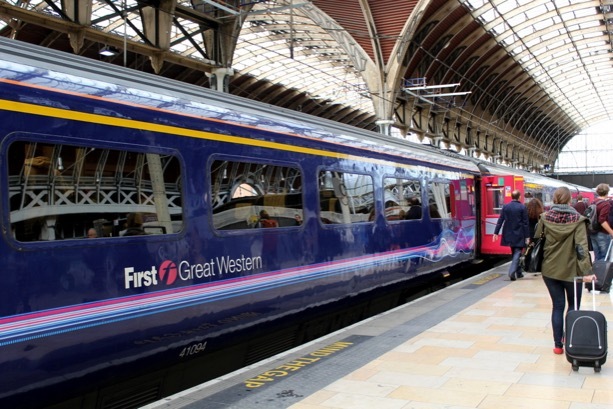 Trains from Paddington to Bath start from GBP 21.50 one way off peak. 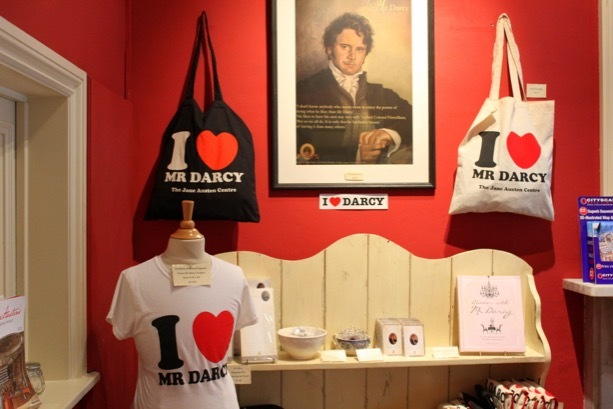 I visited Bath as a guest of Visit England, but this has no bearing or influence on my thoughts. All opinions and views of this blog are mine. You’re making me want to visit Bath now Jean! I’ve never been although I have made Sally Lunn buns. I love the look of the accommodation. And lol about that Tony Abbott-I agree with who I would rather spend time with! Oh you will love it there Lorraine, I hadn’t even mentioned that there’s so many cafes and restaurants , again for a small city the number of restaurants is amazing (they even have one of Jamie Oliver’s restaurants there). Wow you made Sally Lunn buns! Will have to look that one up 🙂 The accommodation was really quite romantic , I loved the tea rooms. Thank you Tony! 🙂 There’s so many other places in the UK I need to explore. I admit I’d been focused on just London the past years but there are so much more other cities to be seen and explored in the UK!